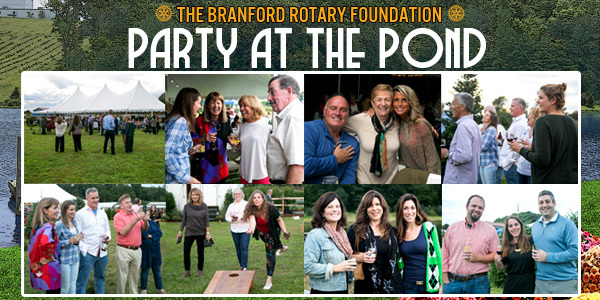 The Rotary Club of Branford, Connecticut is a group of civic-minded business leaders and professionals who join together for fellowship and the opportunity to serve. As part of the 1.2-million-member Rotary International, our members volunteer their time and expertise to improve lives in Branford, across the shoreline, and around the world. (April 19, 2019) - The 46,000 meals recently packed by Rotarians at ‘Feed Our Neighbors’ are now on their way to Haiti, according to Haitian Health Foundation Executive Director Marilyn Lowney. Last weekend, HHF volunteers (see photos) filled a 40-foot container with the food, plus hygiene items, building materials, and medical supplies and equipment. The container has been loaded on a ship bound for Port-au-Prince, and eventually the town of Jeremie, Haiti. Nearly 150 Rotarians and volunteers worked the ‘Feed Our Neighbors’ event, held March 23 in Madison, and organized by the The Outreach Program. Rotary clubs from Branford, Madison, Guilford, Clinton, East Haven and North Branford took part. Congratulations to all those who stepped up to help those in need! Applications for the 2020-21 Rotary Peace Fellowship program are now being accepted. The due date is May 31, 2019, and residents of Branford should make enquires to the Branford Rotary Club President, Mary Donaruma. For the application, Click Here. 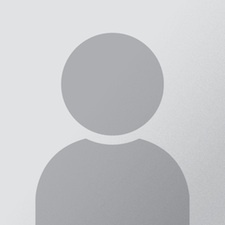 WHAT IS A PEACE FELLOW? BRANFORD, CT (March 13, 2019) - The Branford Rotary Club proudly inducted five new members into its ranks this week, women and men who join the 1.2 million members of Rotary International in volunteering their time and effort to improve lives in Branford, across the shoreline, and around the world. The newest Rotarians are Suzanne McColl, Lucas Mainiero, Lauren Nasreddine, Sue Wharfe, and Robert Imperato. The new members were sworn in by Assistant District Governor Robert Friend, and welcomed to the club by Branford Rotary President Mary Donaruma. “I’m so pleased that these five wonderful professionals have chosen to step up and serve,” said Donaruma. 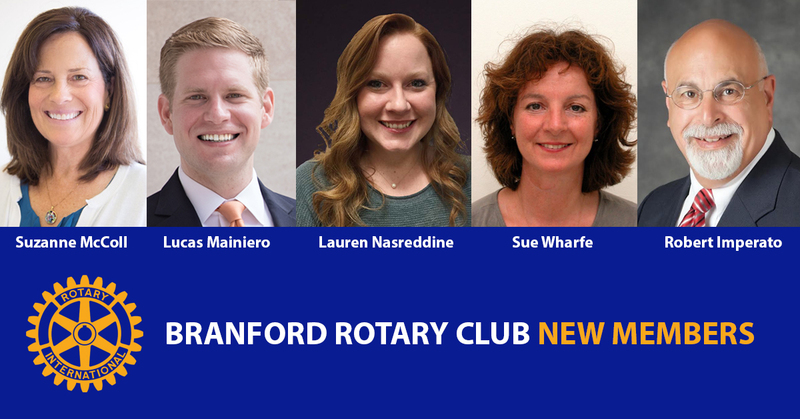 “A strong Rotary means a strong Branford, and I know our new members will be a great asset to the club and the community.”. BRANFORD, CT (March 7, 2019) – The Branford Rotary Club donated $1,000 this week to the Dan Cosgrove Animal Shelter, funds that will help homeless animals with medical needs, surgeries, specialty equipment and much more, said shelter Director Laura Burban. 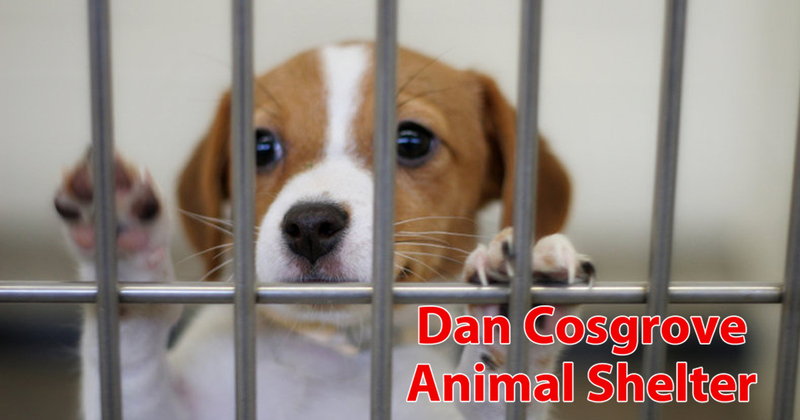 The Dan Cosgrove Animal Shelter’s mission is to protect the public, provide excellent animal care, find good homes for animal guests, promote responsible pet guardianship, and work to end the overpopulation of feral cats in the community. 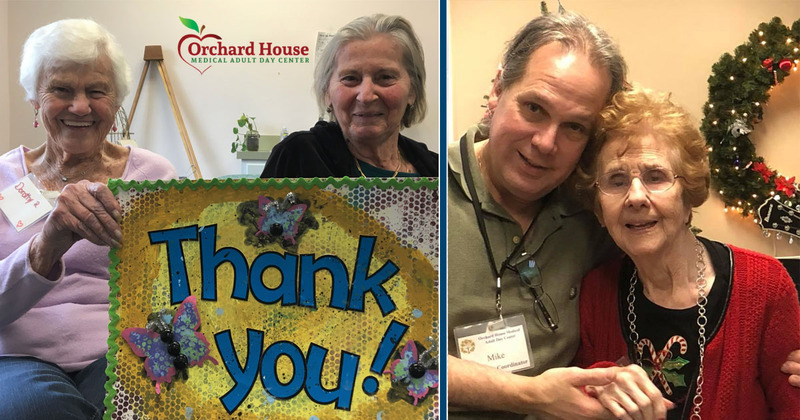 BRANFORD, CT (Feb. 23, 2019) - The Branford Rotary Club this week donated $1,000 to the Orchard House Medical Adult Day Center, which provides compassionate care for aging adults. "We are so grateful to the Branford Rotary Club for their very generous support,” said Orchard House Executive Director Mary-Margaret Mandel. “Their gift helps provide therapeutic programming, medical supervision, and meals to more aging adults in need. I want to thank the Rotary for making our seniors smile." Orchard House has helped aging adults, especially those living with Alzheimer's disease and other dementia related illnesses, since 1981. The center’s mission is to improve the quality of life of older adults and provide support for their caregivers. The goal is to enable aging adults to live independently - in the community - as long as possible. • In September, Branford Rotary hosted a fundraiser to benefit the Smilow Cancer Center at Yale New Haven and the Rotary Scholarship Program. More than 200 guests helped Rotary raise thousands of dollars for those two great causes. • September also saw our five most recent Branford Rotary Foundation Scholarship winners enroll in their universities. The Club annually awards $7,500 to high school seniors from Branford, and our newest recipients are a credit to their communities. The 2018 scholarship winners are now attending the University of Amsterdam (Netherlands), Clark University, UConn, the University of New Hampshire, and the University of Delaware. • As October came in, the Rotary distributed 350 free dictionaries to all third-graders in Branford schools. This is an annual program run by the Rotary, and is made possible by donations from our generous Rotary Partners. • Rotary also participated in (a very wet) Take-A-Vet Fishing event last Fall, cooking food for veterans who spent the day fishing at Killam’s Point, part of a program run by the Branford Congregational Church. The Branford Rotary Club once again honored those who served in our Armed Forces at the annual Nelson Bernabucci Veteran’s Luncheon in November. More than 60 veterans, spanning 75 years of United States military service, attended the event, where they told stories, shared laughs, and were serenaded by the Branford High School Music Makers chorus. 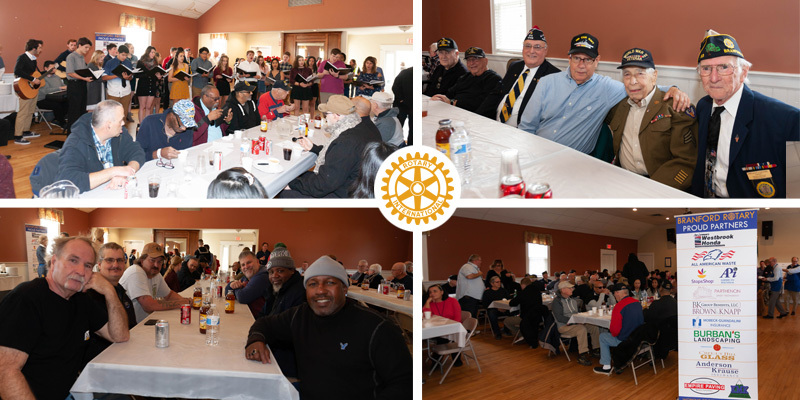 Held at the Italian American Club, the luncheon hosted special guests from the VA’s Eastern Blind Rehabilitation Center, as well as members of the American Legion and VFW. Veterans who served from World War II through Afghanistan and Iraq were honored. The veterans shared stories of their time in the service, ranging from memories of fallen comrades to mess tent meals gone awry. But one common theme held throughout the afternoon, Balter noted. “The veterans at the luncheon are always grateful that they’re not forgotten, and grateful for the opportunity to be with people who have shared the same things as them, no matter where or when they served,” he said. 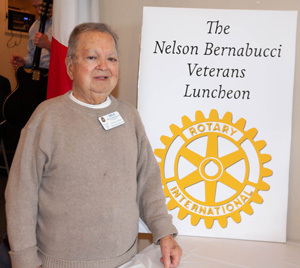 The luncheon is named for Rotarian and World War II veteran Nelson Bernabucci, who served in the U.S. Army in the Philippines. It was made possible by the generous contributions of the Branford Rotary Club’s “Rotary Partners”: Empire Paving, KMK Insulation, Cherry Hill Glass, Anderson Krause Insurance, Lorensen Enterprises, Mobeck-Guandalini Insurance, Brown & Knapp and BK Benefits, Burban’s Landscaping, Stop & Shop, The Parthenon Diner, All-American Waste, and American Polyfilm. Photos from the Party at the Pond are now available for perusal and download, and for free. It's our way of saying thank you to those who supported the Branford Rotary Foundation and Smilow Cancer Hospital at Yale New Haven on a glorious night at Van Wilgen's.